Blurb Description: The Stone of Thieves . . . for centuries its magnetic draw has twisted the hearts of ambitious men and women with the promise of power, passion, and intrigue until it fell into the hands of unlikely thieves Robin and her boyfriend Creek. But can they steal their destiny away from the curse that pursues this magnificent ruby heart? 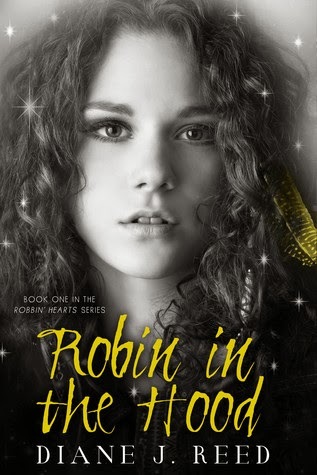 As the stone begins to spread its sorcery, Robin races to find her long-lost mother in Italy in the hopes of discovering the truth about her unique gypsy heritage and the ruby heart that is rumored to steal souls. Yet when the desire for this stone by powerful members of her family threatens their very lives, Creek decides to take matters into his own hands to protect Robin, his greatest treasure of all . 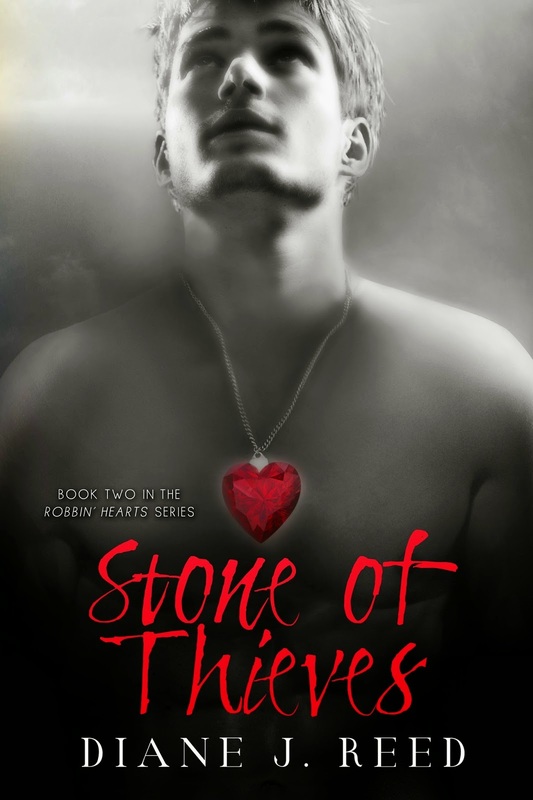 . .
Stone of Thieves is a sensual, stand-alone new adult novel and the sequel to Robin in the Hood in the Robbin’ Hearts Series. Due to mature themes, readership is advised for ages 17+. Her stepmom has skipped the country. And everyone from bankers to bookies has lined up in her dad's hospital room to collect on the millions he's racked up in debt. Panicked and desperate, Robin figures she has two choices. Either surrender to the pestering caseworker and live in a skanky foster home, or take a chance and sneak her dad out of the hospital to make a run for it. Little does she know that stealing a car and hitting the road means that before the day is through, she will rob her first bank. Diane J. Reed has a Ph.D. in English and a lifelong passion for books—both popular, forgotten & literary—as long as they touch her soul & make her want to tuck them under her pillow at night to remember them in her dreams. She writes novels that are infused with enchantment, where characters dare to break through boundaries and believe in true love. She also has a soft spot for artisans & outlaws of the heart, those who burn brightly to live each day as a gift—because it is! 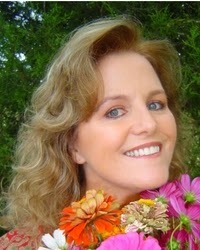 She loves to hear from readers, so feel free to visit Diane J. Reed's website at www.banditsranch.com or message her here to share the whispers of your spirit. From a rich girl in a snobby boarding school to a trailer park bank robber to someone with a mission, Robin McArthur/ Robin McCracken/ Rubina De Bargona has seen it all- at the age of just eighteen. After accepting who she really is, and that her whole life was a fabrication of a dream meant to dissolve at some point or the other, Robin and her soul mate, Creek set off to Venice to find her long lost mother. I read both books in the series together and so fast, that I barely had any time to breathe. Diane J Reed has this… superpower, let’s call it, to put things together SO fast that you’ve barely overcome the previous revelation when the next fun is hitting you in the face. I LOVED both books and will definitely be looking out for book three! That being said, I must also do this. A few days after, you know, as I sat down to think about the story in general- I can only say that I wished it would have been a tad slower. I would have LOVED to see how Robin’s and Creek’s relationship evolved slowly, not how they rob a bank and then, after hating each other- or hate-lusting- suddenly start heavy duty making out. That was book one, but, book two was SO different. There were no banks, but asylums, no hounds but guns and of course, gypsy queens and rubies, but the writing makes you take it all in stride! Honestly, if someone asked me to describe this book, I have nothing but one word- explosive! Highly recommended- just walk in with an open mind!